While cheats and swindlers may be a dime a dozen, true conmen - the Bernie Madoffs, the Jim Bakkers, the Lance Armstrongs - are elegant, outsized personalities, artists of persuasion, and exploiters of trust. How do they do it? Why are they successful? And what keeps us falling for it over and over again? 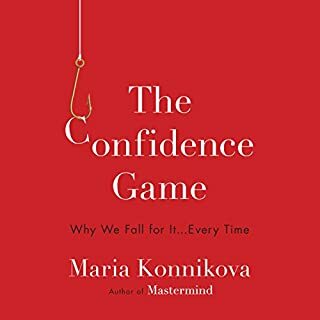 These are the questions that journalist and psychologist Maria Konnikova tackles in her mesmerizing new book. I'm writing this because I noticed there were a lot of reviewers complaining about narration. The book was read by the author which I enjoy because she read it the way she wrote it. I would say her voice is a bit seductive and her tone is a bit conspiratorial, which matches the book quite well. That may turn out to be an issue for you so just give the sample a listen and see if it will work for you. Filling a huge gap in our spiritual culture, here - at last - is a comprehensive and elegant translation of the 1854 French masterwork of occult philosophy. 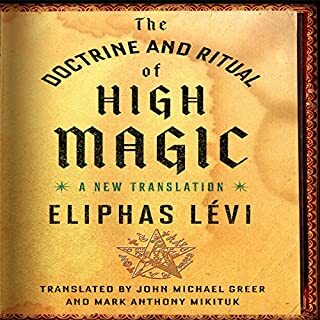 The Doctrine and Ritual of High Magic reignited the esoteric spiritual search in the West and led to the emergence of Madame Blavatsky, Manly P. Hall, and the New Age revolution. A performance tour de force! Best book on magic I've come across. It's scope is huge. I liked it so much I got a physical copy as well. I'll be reading this again (and again). Not only is the book more than I could have asked for the narration is absolutely perfect.